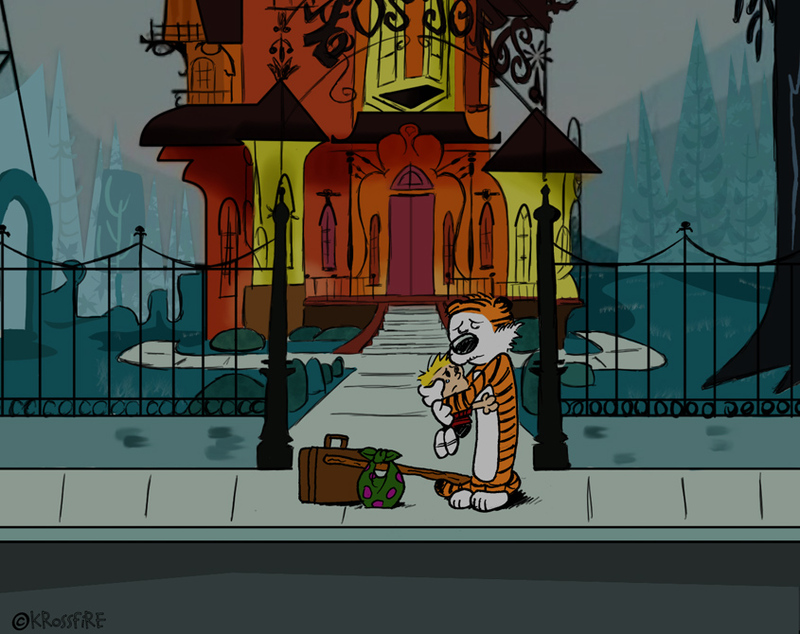 Calvin saying goodbye to Hobbes at Foster’s Home for Imaginary Friends. Click the image to enlarge. So sad. Don’t ever let go of your inner-child. I wear mine on the outside. Very correct. It is most sad!